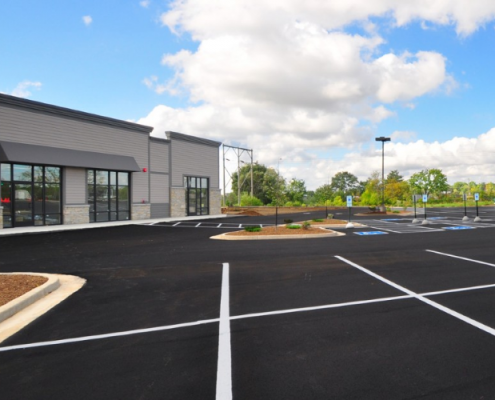 Asphalt Services Burlington, Wisconsin | Asphalt Contractors Inc.
We’re the Best Choice for Asphalt Services – and We’ll Tell You Why! Our Racine contractors have been serving homeowners and business throughout SE Wisconsin for 40 years. A full-service asphalt company, we’re dedicated to 100% satisfaction on every job we work. Whether you need asphalt paving or maintenance, custom crushing for your asphalt waste, or excavation and site preparation, we can help! See all of our asphalt services, or contact us. Do you need paving services in Burlington? That’s our specialty! Whether it’s a driveway, parking lot, or road, Asphalt Contractors Inc. is the best choice – there is no asphalt paving project, small or large, that we can’t handle. We also manufacture asphalt, which means we can guarantee higher quality asphalt materials; and in turn, better paving results. Our professionals can help you with new paving projects as well as repaving. New asphalt is an investment. If you’d like to make that investment worthwhile, you need a reputable company to manage the care of your pavement. We offer incredible asphalt maintenance services to help your pavement last longer and look better year round. If you need seal coating, crack filling, or patching, don’t hesitate to call us. We’d love to evaluate your pavement needs and provide reliable service if you determine we’re the best fit for the job. We’re experts in more than just asphalt work. Our contractors can handle your concrete needs too. We design and install concrete walkways, driveways, parking lots, curbs, and more for both residential and commercial clients. If you have ideas or a concrete project you’re ready to start, call us!